People are again being warned about a measles outbreak in Perth. Picture: iStock. TRAVELLERS to Bali are reminded to check their vaccinations are up to date, following a second case of measles this year on the island. 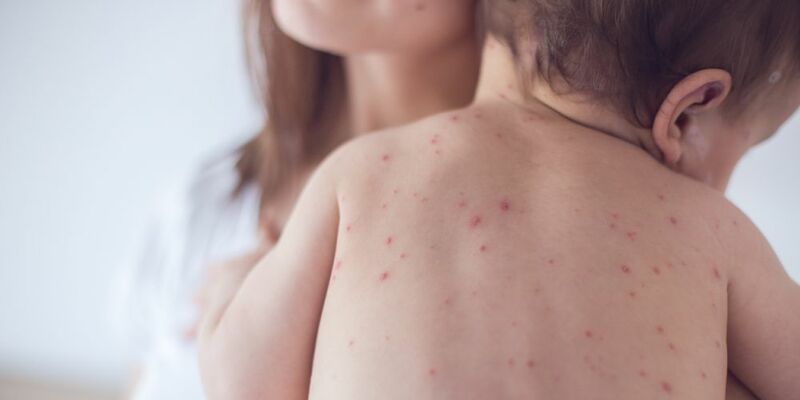 The Department of Health released an alert for the Butler and Joondalup area on Saturday after a returning traveller was confirmed to have measles. It follows an alert on Tuesday regarding an earlier case of measles also contracted in Bali, and another person infected in one of three countries in South East Asia. Medical Epidemiologist Dr Gary Dowse said there had been more than 20 separate importations of measles from Bali to WA since 2013, including seven cases last year and the two cases in the past week, which is more than for any other overseas travel destination. “Unfortunately, it is not unusual for Australians to be infected with measles overseas, including in Bali, but the increase in the number of cases in WA and other states in recent weeks suggests there may be an increased risk of catching measles in Bali at present,” Dr Dowse said. He added that every imported measles case was treated as a public health emergency because of the risk of local spread – including to those most vulnerable to infection, such as infants too young to be vaccinated, pregnant women and those with compromised immune systems. Travellers returning from Bali (or other countries, especially in Southeast Asia) who developed a fever with other symptoms – including cough, runny nose, sore red eyes and a rash – within two to three weeks of returning home, should consult their doctor. * Connolly Drive Medical Centre in Butler on Saturday, March 17 about 10.15 to 11.15 am; Sunday, March 18 about 8.30 to 9.45 am; and Tuesday, March 20 about 9.00am to 10.30 am. * Butler Health Pharmacy on Saturday, March 17 about 10.45am to 11.30 am. *Joondalup Hospital Emergency Department on Sunday, March 18 between 9.15am and 5.00pm. In addition, people who were at other locations visited by the two cases confirmed earlier this week also need to remain vigilant. Dr Dowse said anyone who thinks they might have measles should call ahead so that they can be isolated when they arrive at the GP surgery or Emergency Department, to prevent infecting other patients and staff. Measles is a serious and highly contagious viral illness spread by tiny droplets released when infected people cough and sneeze. Early symptoms include fever, cough, runny nose and sore eyes, followed by a red blotchy rash about three days later. The rash usually starts on the face and spreads to the rest of the body. Measles vaccine is currently given to children at 12 and 18 months of age. People born during or after 1966 should make sure they have had two documented doses of a measles vaccine at some stage in their life, especially before travelling overseas, including to Bali. If they are not sure if they have been vaccinated in the past, they should see their doctor for a dose before they leave.